THE wait is over! After four years of waiting , an album from one Kwaito great, Mkhonzeni Langa better known as Professor, is finally out. The last time Professor dropped an album was in 2010 and it was called University of Kalawa Jazmee since 1994. The album had hits like We Mali and Side Effects. The new album called Composed by Jesus has 15 tracks and the hit single is Nobenga. The album features singers such as Oskido, Freddy Gwala (States), Mpumi and Uhuru (Ubona Bani), Character (Professor) Dan Tshanda (Troubled Man) and Cassper Nyovest (Can't get away) among other artistes. Fans should look out for songs like Ubona Bani and Can't Get Away. This is Professor's debut album under his record label launched last year called Proper Files. Commenting about the title of the album, Professor said he was inspired by the faith he has in Jesus Christ. "I want to make it clear so that people can know and be aware of the title of the album. All my morals and faith comes from Jesus Christ," said Professor on the intro of the album. Kalawa Jazmee spokesperson Arthur "Scotch" Mathenga, assured fans that they won't be disappointed with the album. He said plans were underway for the Professor to launch the album in Zimbabwe. "Professor's album is done and was released last Friday. It's been a long time since Professor released an album. I am hopeful that Professor will be coming there (Zimbabwe) soon, it will be very hectic for now with the new album out as he starts embarking on a lot of interviews and tours around the country and all Southern African countries. 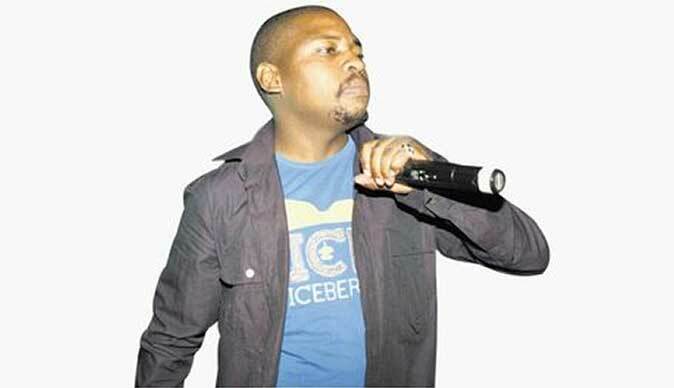 Let's wait and see, but this is an exciting moment for us at Kalawa Jazmee Records and Proper Files," said Scotch. Meanwhile, Scotch also said that Stiff's album will be out soon. He highlighted that they are in talks with local promoters and venue owners around Zimbabwe to see how they can have a double launch. "Stiff's album will be out soon. It is undergoing a process we call mixing and mastering. This is the final process done on each song before it goes for production. "Professor's album is out, and Stiff's album is expected to be out by end of next month. We plan to do a double launch in all the nine provinces of South Africa. We are still in talks with promoters and venue owners around Zimbabwe to see if we can also launch from that end," said Scotch.